To understand our Gospel today, it is best to take it in two parts. 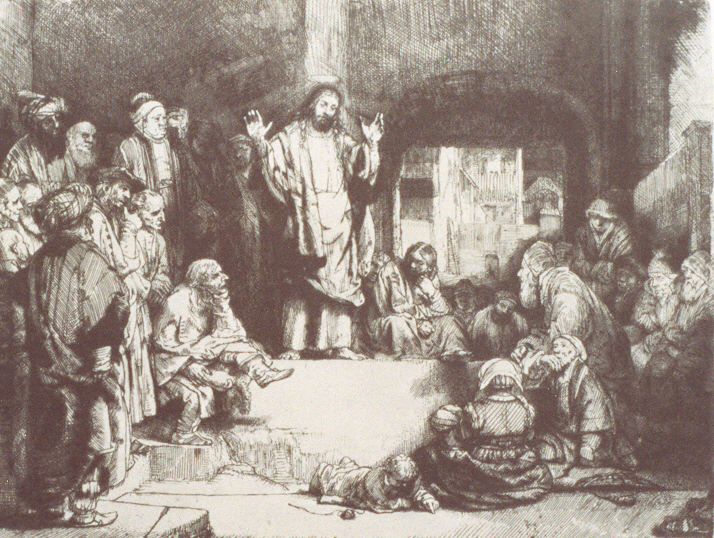 In the first half, Jesus addresses the scribes and the Pharisees regarding certain deficiencies that He sees in their religious practices - a good reminder for all of us to consider our own practice of the Catholic faith. In the second half, Jesus uses different hyperboles to re-orient our thinking and understanding about our relationship to God as creatures beholden to the Creator. In the first half of today's Gospel, our Lord criticizes the scribes and the Pharisees for their hypocrisy. He says that they preach but do not practice. And yet, Jesus exhorts the Jews to obey the dictates of the Pharisees because they have proper authority as holders of the seat of Moses, the seat of the Law. Our Lord tells the Jews to do and observe all things whatsoever the Pharisees instruct, even if their example is poor. Our Lord also takes issue with the fact that the scribes and Pharisees perform all of their works to be seen. Moreover, they take inordinate pleasure in their titles. In other words, their intention is to win the praise of men - not to give glory to God. This whole area concerns what we call "purity of intention." When we perform good works, we must ask if we do so with the proper intention. It is not enough to do good works - we must do them with pure hearts that truly love God and are motivated by the desire to give Him glory. After all, we are creatures beholden to the Creator. The demands of justice means that we give God the praise first, before we take any credit for having cooperated with the grace that God provided in the first place. The second half of the Gospel today presents us with an effective hyperbole to further underscore the idea that it is God who is the true source of all truth and goodness. In other words, any good we do is only a participation God's goodness. In order to make this point, Jesus uses a hyperbole to call no man "Rabbi or Teacher" or "Father" or "Master." 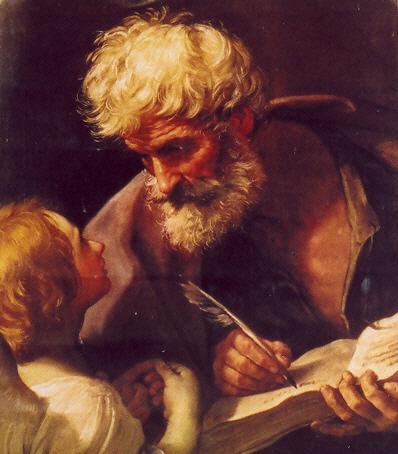 A simplistic, literal reading of this portion of today's Gospel would mean that we ought to change the names of our teachers to "facilitator or instructor" and that we should no longer celebrate "Father's Day" and priests should just go by their first name like everyone else and anyone with a masters degree should denounce their achievement and remove any certificates indicating that milestone from their office walls. This is not the point of our Lord's discourse. What He is indicating here is that God the Father is the source and end of all teaching, fatherhood and dominion in the world. So, even when Catholics call a priest, "Father," they are simply acknowledging that the priest is supposed to be an icon or image of God the Father in the world. First, God the Father's fatherhood exists in eternity and it is also a spiritual reality, before it is a material reality. Before any human father existed, God was already Father, Son and Holy Spirit. Very often, when we observe a good human father, we may say, "That is what God the father must be like." In fact, the opposite is true. Human father hood derives its meaning from God the Father and how HE conducts His fatherhood. Before the material fatherhood that led to the begetting of our Lord as God's Son in the womb of the Blessed Mother, God the Father's fatherhood existed in all eternity as a spiritual reality. Similarly, human fathers have to do much more than provide for the material needs of their children - they have to form their souls and teach their children how to pray, how to make sacrifices, how to participate and love the sacraments. When was the last time that the fathers here present blessed their children? When was the last time that you had a spiritual conversation with one of your kids? When was the last time that you prayed with your children? These are all prerogatives of human fathers. So often, dads are relegated to giving advice about the car, finances, home improvements, sports, etc. So seldom do we find fathers who exercise their God-given spiritual paternity which they promised to uphold when their children were baptized. Finally, true fatherhood is never-ending and defined by love. Children should know that they can always reach their father. Fathers should communicate to their children that his love for them is unconditional. A true father's love is also one that emphasizes the primary importance of the family as a community of love. Father's are tasked with the duty of taking the initiative in establishing this community of love. When children see their father treat their mother with kindness and respect, this example forms and shapes the hearts of these young persons. Psychological studies now show that it is almost always the case that women with promiscuous pasts never had a good relationship with their father. In other words, the absence of a true image of manhood gave reason for these young women to search for it elsewhere. It is the father who must take the initiative in love for it is God the Father who does this in the inner life of the Trinity. We see this beautifully portrayed in the parable of the Prodigal Son. When the wayward son finally returns home, the Father is out in front of the house looking out on the road. Rather than return into the house in disgust, the father runs out down the road after his son and immediately restores him to sonship. That is how God the Father takes the initiative in love. When we respond to His grace to return to Him with contrite hearts, He runs after us with even more grace to make a good confession. For those who are not fathers, the message today is of equal importance. The presence of groups like Promise Keepers and the Million Man March and the Million More March and the high incidents of absentee fathers and the poverty of single mothers should remind us that we all have a part to play in supporting the men in our society to discover and rediscover the true meaning of authentic fatherhood so that they may imitate the source of all fatherhood in the world - God our Father.